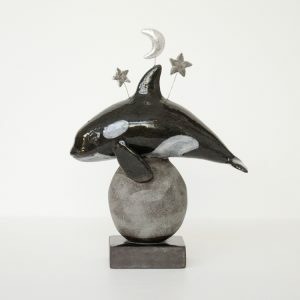 An orca under a starry night, this ceramic sea mammal leaping over a boulder makes the perfect gift for any marine life entusiast. 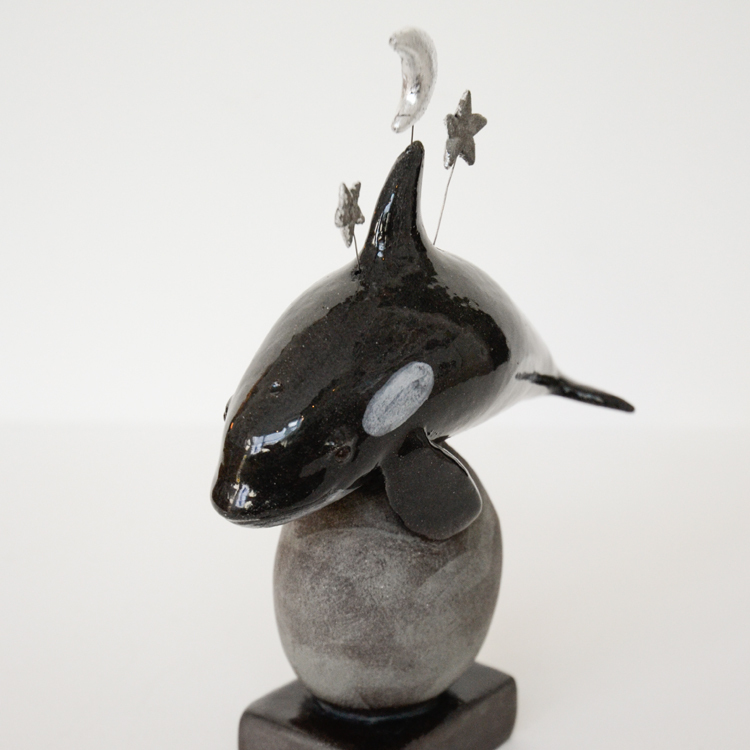 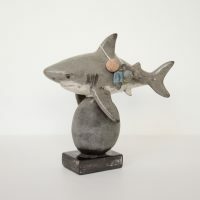 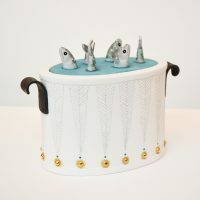 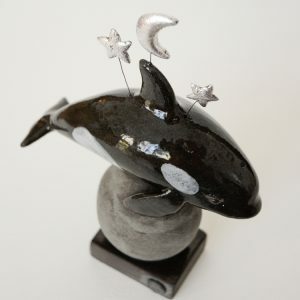 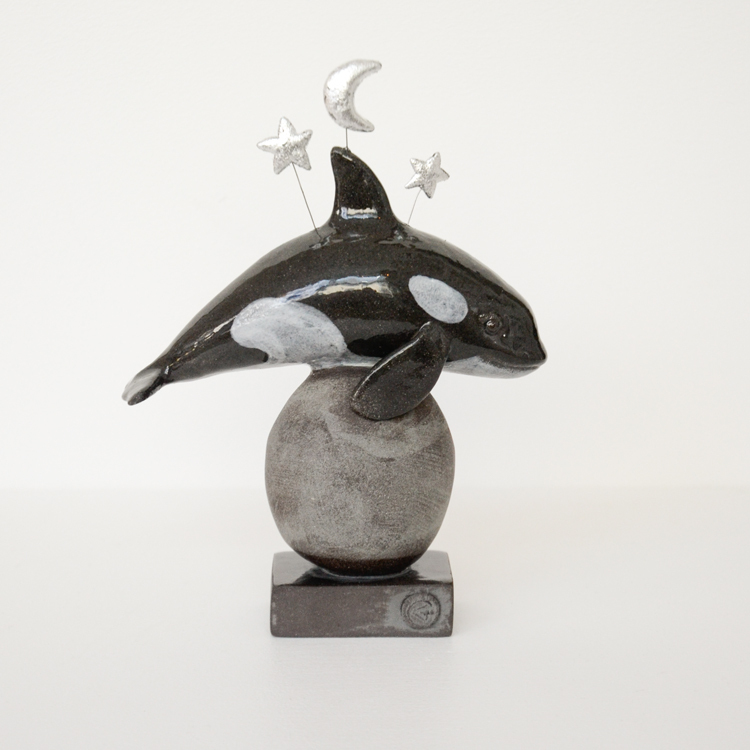 Material: Ceramic Orca on a clay boulder, with wire-suspended silver stars and moon. 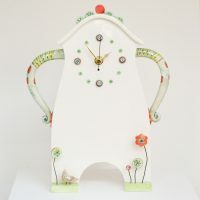 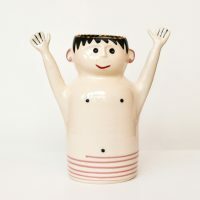 Dimensions: Height 18.5 cm, Length 15 cm, Width 6 cm.